Artists originating from, educated or currently working in Kent are invited to submit existing or proposed work for consideration relating to the title ‘A Fine Line’. Work could relate to the title of ‘A Fine Line’ either physically or conceptually. All media will be considered, including proposals for site specific or performance pieces. Please specify any technical installation and display requirements in your application and the gallery will endeavour to accommodate these requirements. Selected artworks should be available for installation on the 10th February 2014. The curatorial team will endeavour to select work that is not only strong in itself, but that will develop a conceptual and/or aesthetic relationship, in order to produce a coherent show. Successful artists will be notified within a week of the deadline to make arrangements for delivery of the work. ‘A Fine Line’ is co-curated by Rosalind Barker, Sue Evans and Franny Swann as a Sevenoaks Visual Arts Forum concept. The Sevenoaks Kaleidoscope Gallery is a contemporary space run by Kent County Council to show new and experimental work from established and emerging Kent artists. 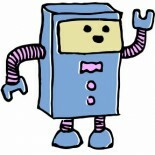 This entry was posted on 13/01/2014 by Creatabot in Creative / Artist Wanted, Creative Opportunities.